The 2019 NASCAR season is just around the corner. And after watching Joey Logano sprint to his first Monster Energy NASCAR Cup Series title in a dramatic finish at Homestead, fans can't wait for the green flag to drop at Daytona on a new season. 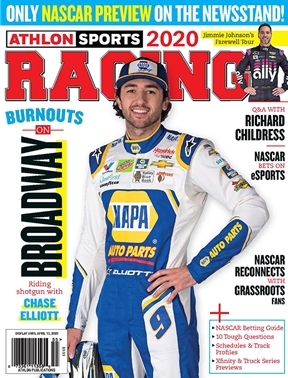 The 17th edition of Athlon Sports Racing arrives just in time to provide the preseason analysis and predictions craved by race fans from Sonoma to Daytona and everywhere in between. All is not rosy for racing, which has been beset with declining ratings and attendance. The sport stands at a crossroads, and we offer five suggestions for getting things back on track in our feature story "What's Next for NASCAR."